Pokemon, or Pocket Monsters, were created in Japan in 1995. The concept is that people, commonly referred to as Pokemon Trainers, catch and battle creatures known as Pokemon. At this time there are over 700 different species of Pokemon. Though the Pokemon Go game currently focuses on the original 151. There is a cheat code for users to get a Pikachu at the beginning of the game, but we'll get to that later. Once you have your starter Pokemon and understand the rules, all the user has to do is go outside and walk around! The phone will vibrate when a new Pokemon is in the vicinity. When you first begin your Pokemon training adventure, you must pick between three different Pokemon, but many users want to start with the most iconic Pokemon, Pikachu. Unfortunately that is not one of the three options, but due to a gaming cheat you can in fact pick a Pikachu as your starter. To catch a pikachu, when the choice of the three starter Pokemon pop up on the map at the beginning of the game, simply walk away. As you walk, the three starters will continue to pop up, but after a few minutes, Pikachu will also appear with them. At this moment, simply tap on Pikachu and capture him. When a trainer comes upon a Pokemon that they wish to capture, the user simply has to tap on the creature in the map, and the battle begins. 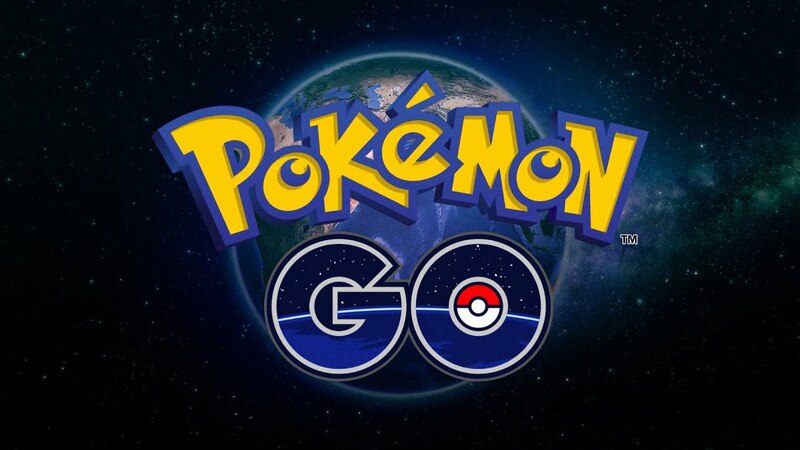 The Pokemon will appear on camera, and a red Poke ball will appear at the bottom of the screen. The user must try and flick the Poke ball perfectly and hit the creature before hitting the ground in order to catch the Pokemon. Now it sounds easy, but depending on how strong the creature is, the Pokemon can break free of the poke ball, dodge the poke ball, or even simply run away. The difficulty of the Pokemon is shown in two ways. You can determine how strong the Pokemon is by it Combat Points (CP) or the color of the circle that appears around the Pokemon: green for easy, yellow for medium difficulty, and red for hard. When attempting to capture a Pokemon, the trainer has the ability to throw a curve ball. This increases the amount of XP the trainer gains from capturing the Pokemon, although it is undetermined if this also increases the probability of successfully capturing the creature. When trying to throw a curve ball, the user must spin the Poke ball. Once the ball begins spinning on its own, the trainer can flick it and try and capture the Pokemon. Be careful with this though, the ball will curve when you throw it, so be sure to account for that curve. Pokemon are not just cute creatures with adorable names. The creatures are used to battle each other. Since the game is still currently in early stages, the only way to battle or train your Pokemon is to go to a gym. In order to do this, you must be a Level 5 Pokemon trainer, but once you reach that level you may enter gyms and battle. Battling for a gym can lead to a team controlling that location. Whoever controls that gym receives a few bonuses, but for the most part people just love the bragging rights. There are three teams in the Pokemon Go world. There is team Instinct, team Mystic, and team Valor. Each team is associated with a particular color: yellow for Instinct, blue for Mystic, and red for Valor. When a Pokemon Go trainer reaches Level 5 and visits a gym, they are given the three options and they must choose. Who decided the location of Poke stops and gyms? The creators of the Pokemon Go game were the previous creators of a similar game entitled Ingress. In Ingress, there were locations similar to what Poke stops are used for in the game. When the creators programmed the Pokemon Go game, they decided to reuse the locations from Ingress as the Poke stops and gyms. Poke stops are areas that can be visited to gain items. The items that trainers receive at these stops are unknown to the player and seem random. When visiting a Poke stop, the trainer will simply need to tap on the blue circle, then spin the landmark in order to receive their items. Lures can be added to these Poke stops in order to increase the amount of Pokemon that will appear in that area for 30 minutes. Poke balls - Balls you catch Pokemon with. You can run out of this item, but can receive more by visiting Poke stops. Great balls - Next level of Poke ball. It has a greater chance of catching Pokemon and not letting them escape. Ultra balls - A third level of Poke ball, with an even greater chance catching and keeping Pokemon. Master balls - Guaranteed catch rate. Lure Module - Can be placed on any Poke stop, this will lure Pokemon to that area for 30 minutes. When used, other players can see pink flower petals floating around the stop. This alerts the player that a lure module is in use. Incense - Lures Pokemon to that particular trainer for 30 minutes, where ever they go. Razz berry - Giving this item to a Pokemon will increase the chance to catching it. Incubator - This item is used to hatch Pokemon eggs. Camera - The item is used to take pictures of a Pokemon before you catch them. Potion - This will heal your Pokemon by 20 health points (HP). When your Pokemon go into battle, they could become injured and this will heal them slightly. Super Potion - Restores their health by 50 HP. Hyper potion - Restores their health by 200 HP. Revive - Wakes up a fainted Pokemon. Pokemon can faint when they are badly injured. Max revive - Wakes up fainted Pokemon, and restores their HP fully. Bag - Holds all items. Your bag can become full, and it is possible to buy a larger bag, but you will have to spend actual money to do this. Pokemon eggs - Hatches Pokemon. Lucky eggs - These eggs do not contain Pokemon, but when used double the amount of experience points (XP) trainers gain for 30 minutes. The more XP a trainer gains, the higher their level becomes and the more locations, items, and Pokemon are available to them. Poke coins - In-game currency, which can be purchased through micro transactions. While on your adventures, trainers may also come across eggs. Eggs are what Pokemon hatch from, and you are never sure what species of Pokemon are going to hatch from your egg. When a trainer receives an egg in order to hatch them they must put them in an incubator. The trainer is given one incubator, this incubator may be used an infinite amount of times. Incubators that the trainers are given, or come across after that, are commonly only good for three uses. Once the egg is in the incubator, the trainer must walk in order to hatch the egg. There are three different types of eggs that require different distances in order to hatch. There are 2 km, 5 km, and 10 km. The game will tap into your phone's pedometer and track your steps. If you think that you can just get into your car and trick the game think twice: the game will not log movement for your incubators in which the speed exceeds 15 km per hour. The Pokedex is where you can learn about all the Pokemon you have caught. Pokemon also evolve into different, typically stronger Pokemon. Don't be worried if you have caught multiple of the same Pokemon, that is actually a good thing! When Pokemon are caught, the trainer also receives two things: Stardust and Candy. The Candy is used to evolve your Pokemon and increase their CP. Depending on the type of Pokemon you are trying to evolve it requires different amounts of candy. The amounts are typically either 15 Candy, 25 Candy, or 50 Candy. There is one exception in the species of Magikarp, this Pokemon requires a whooping 400 Candy to evolve. You also receive one candy each time you transfer a Pokemon. Transferring the Pokemon will make it so you no longer carry that particular Pokemon. This transaction cannot be reversed, so be sure before you make a decision! Pokemon go is a very fun game, but it uses a lot of power to constantly run not only the game, but the phone's GPS and camera. Trainers speculate that most phones can run the game for two hours straight before draining the battery. There are a few tips trainers can use to make their batteries last a bit longer. Not many trainers know this, but the game itself has a battery saver mode. The game will go into rest mode the moment the phone is upside down. This is so when a player puts the phone in their pocket, the game will not be draining the battery. In order to set this up, Tap on the Poke ball at the bottom of the screen, then you will need to tap on the settings option at the top right corner, once there select the battery saver option. As a trainer you can save your battery by turning off the AR mode. Turning off this mode restricts that game from using your camera to show the Pokemon appearing in real life. The game will generate a generic background instead. This is a bit less fun, but could save your battery in the long run. In order to turn off the AR, simply switch it off at the top right corner of your screen. Pokemon Go uses an insane amount of data. Depending on how you are playing the game, the app can use between 2 MB and 8 MB+ per hour of gameplay. Be sure to check out your data plan before playing for too long! You don't want to be surprised when that bill comes. If you do not have an unlimited data plan and worry about over usage, play only in areas where WiFi is available. Never play Pokemon Go while walking on the road, and if you want to play there also then walk in groups. Never try to catch Pokemons in restricted areas...otherwise you will be arrested. Never play this game while driving. Play this game own your own risk and very carefully to avoid accidents, etc. All the logos and products are copyrighted/trademarked/registered and belong to their respective owners. For any objections in the articles or related to any logo or product, Contact Us.